For all of those who take fun time seriously, we have a big relief for you. There is no need to splurge in extravagantly priced smartphones to get great quality – so, gaming enthusiasts you can now rejoice, the HUAWEI Y7 Prime 2019 is here to make your experience way better with the following powerful features. With the new HUAWEI dewdrop display, you can play on a huge screen, one that is much larger than the industry’s average, as the pearl-shaped notch – which is one of Huawei’s smallest notches to date – has made way for a whopping 86.7 percent screen-to-TP ratio on a 6.26-inch screen. 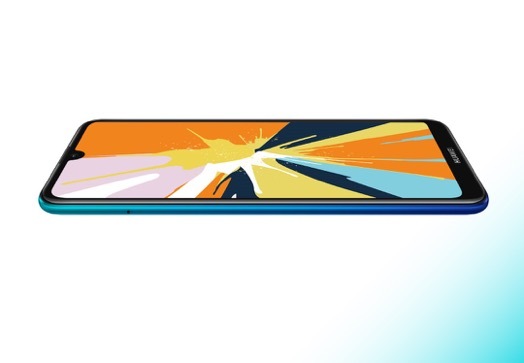 The notch is placed in the middle of the device and does not to disrupt the symmetry of the frontal view or distract you. With a huge 4000mAh battery, you can play for an extended period of time without having to worry about your battery dying or needing to stop for charging breaks. It can last through an entire day of intensive usage with a capacity on par with some of the premium Android devices on the market. 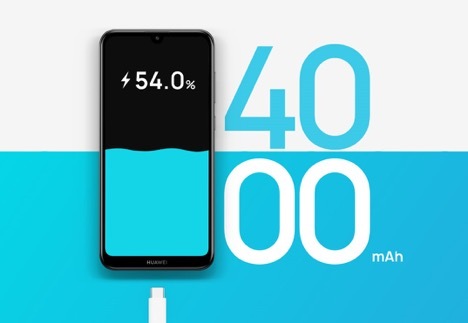 The cell inside the HUAWEI Y7 Prime 2019 retains at least 80 percent of its full capacity even after 700 recharges, which means the battery stays highly reliable even after two years of normal use and it supports 5V/2A charging. You can route calls to the secondary SIM card to enjoy a fully immersive gaming experience, free from disruptions. This Do Not Disturb Mode will notify the callers that the recipient is not available for call while notifying you via text. While this mode is enabled, all notifications except the most critical ones (battery low, alarms, etc.) will be silenced. These amazing features will take your gaming experience to another level, getting you to enjoy playing like never before – without having to break the bank. It is time to start winning without stopping!